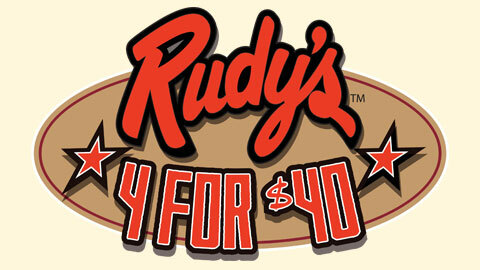 Rudy's BBQ and the RoughRiders are teaming up this season to provide a great deal on BBQ and baseball in Frisco - the Rudy's 4 for $40! On the first Sunday home game of every month this season, we're offering 4 tickets along with 4 RoughRiders souvenirs and a $20 Rudy's gift card. That's a $150 value for only $40! Vouchers are available at Guest Services.